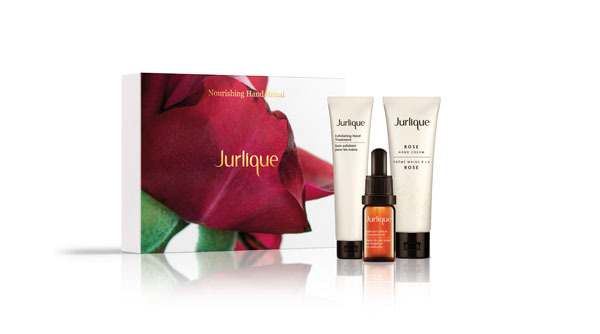 Rejuvenate your skin’s youthful glow with Jurlique’s new Herbal Recovery Advanced Day Cream. The powerful day moisturizer to our award winning herbal recovery range, enriched with Japanese Cedar Bud extract and 18 active botanicals to target the appearance of those first signs of ageing; including fine lines, dull skin and dryness whilst leaving your skin feeling smooth and youthfully radiant. The skin ageing process starts as early as your 20s. This is when the body’s production of two naturally occurring proteins, collagen and elastin, begins to slow down. These proteins are responsible for maintaining the skin’s radiant, youthful appearance. Jurlique’s Herbal Recovery Advanced Day Cream is specifically designed to protect your skin from the first signs of ageing. Every ingredient in this exclusive blend of 18 pure botanicals delivers its own unique benefits to your skin. Together, they work in synergy to give you results that can’t be provided by any one ingredient alone. The lead ingredient is Japanese Cedar Bud Extract – which holds all the vitamins and minerals that allow the trees to regenerate, which is why this extract is so rich in the nutrients and antioxidant properties– helping reduce the appearance of fine lines and wrinkles. The end result is a luxurious day cream that targets the appearance of the first signs of ageing, leaving you with smooth and revitalised skin that visibly glows. Jurlique’s NEW Herbal Recovery Advanced Day Cream (1.7 oz) will arrive on September 5th to Jurlique.com and select spas and will retail at $53. Check out some holiday gift ideas below. Treat their precious hands to our complete hand care ritual. Our two Rose bestsellers in one gorgeous gift. Indulge someone special with our bestselling skin care icons. A little Lavender luxury for someone you love. Leave them looking radiant with this replenishing trio. Enriched with botanical extracts and natural humectants to moisturise the skin, including; Aloe Vera gel to hydrate and soften and soothe the skin. It also contains a special blend of Botanical extracts of Chamomile Flower, Daisy, Licorice Root, Marshmallow Root, Rose Flower, Calendula Flower, Black Elder, Pansy and Sweet Violet, Echinacea Flower.